Dumpster rentals may seem like a good idea for certain remodeling projects, landscaping work, or various cleanouts. However, they can come with a number of problems. First of all, you will be the one removing the items from where they are located, such as the yard or basement, all the way out to the dumpster. That is a lot of work and could lead to injury if you are not lifting the items properly and carefully. Secondly, you will be responsible for covering the cost of renting the dumpster and then disposing of the various items in the dumpster. Some dumpsters restrict what items can be placed in them. It's important to note that hazardous waste such as wet paint, oil and other solvents, electronics, sealed tanks/drums, and certain types of furniture can't be place in the dumpster. Additionally, there's a limit to the amount of weight you can put in the dumpster, and you will have to pay for that amount of weight as well as the duration of time that you rent the dumpster. Dumpsters are an eye sore to you and your neighbors and can attract unwanted creatures, Lastly, in some cases, a dumpster rental may even require you to seek permission from city officials and acquire a permit. When you have a project, and you need to get rid of items in your home or elsewhere on your property, renting dumpsters might be a solution, but many people find them unappealing due to the number of reasons outlined above. Hiring Centennial Junk Removal is a great dumpster rental alternative. Not only we will do the heavy lifting, but we will do our best to donate, recycle, and dispose of the items in a a safe, eco-friendly way for one affordable fee. Whether you have garden or landscaping debris to remove or you need to have household items that need removal like mattresses, furniture or carpeting, our team is well-qualified to conduct this removal for you so that you don’t need to lift a finger and so that you can move onto other priorities. You don’t need to worry about spending valuable time researching areas that will take the waste off your hands, because we have years of experience and have vast knowledge of the appropriate locations that will dump your waste responsibly. 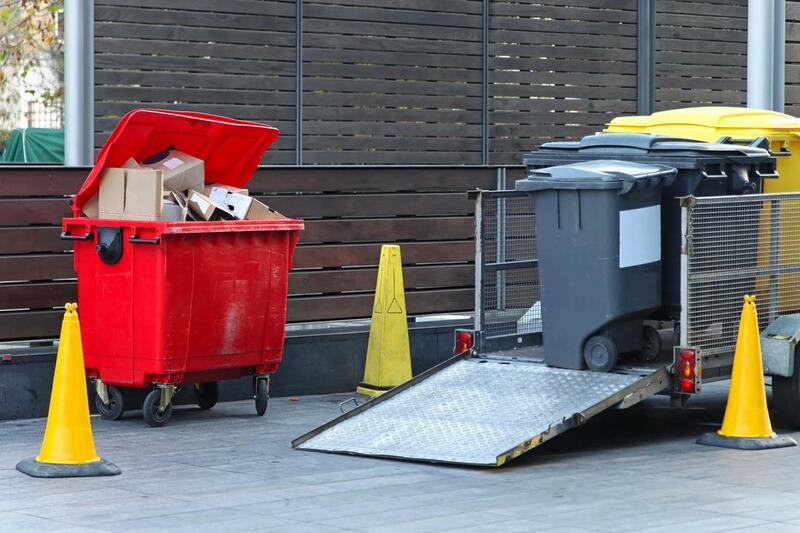 You don’t need to worry about a big unsightly commercial bin in your driveway that stays there for days on end because you’re trying to find time to get rid of it or trying to search for a place that will take the debris. Our dumping is eco-friendly, responsible and efficient. Call us today for a free estimate, and you won’t regret making a decision to use our hauling services in lieu of renting a dumpster.